"Polygram" redirects here. For the geometrical figure, see Polygram (geometry). This article is about the former record company and Universal Music Group's current film unit. For for the defunct PolyGram Filmed Entertainment whose assets belong to Universal Pictures, see PolyGram Filmed Entertainment. 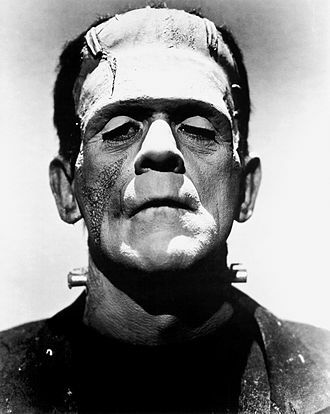 Sold to Seagram and merged into Universal Studios creating Universal Music Group. In 1929, Decca Records (London) licensed record shop owner H.W. Van Zoelen as a distributor in the Netherlands. By 1931, his company Hollandsche Decca Distributie (HDD) had become exclusive Decca distributor for all of the Netherlands and its colonies. Over the course of the 1930s, HDD put together its own facilities for A&R, recording, and manufacturing. In the mid 20th century, the majority of large recording companies manufactured both gramophones and records; Philips CEO Anton Philips noted the risk in creating gramophones without an interest in music recording and record manufacture, and that Radio Corporation of America (RCA) had merged with the Victor Talking Machine Company in 1929 for this reason. Philips' labs were developing magnetic tape and LPs, and they could support eventual new formats, although other record companies were notably unenthusiastic about experimenting with new formats. PPI's second attempt at a merger was with Deutsche Grammophon Gesellschaft (DGG). DGG, owned by Siemens AG, and well known for its classical repertoire, had been the German licensee for Decca from 1935. DGG also owned Polydor Records. Shortly after PPI was founded it had made a formal alliance with DGG to manufacture each other's records, coordinate releases, and refrain from poaching each other's artists or bidding against each other for new talent. PPI and DGG finally merged in 1962. The alliance with DGG still left PPI without repertoire in Britain or the United States. But in 1951, after Columbia had failed to renew its international distribution agreement with EMI, PPI agreed to distribute Columbia recordings outside the United States. Columbia became PPI's distributor within the US. This agreement ran until 1961 when Columbia set up its own European network. PPI signed a worldwide distribution deal with Mercury Records in 1961. 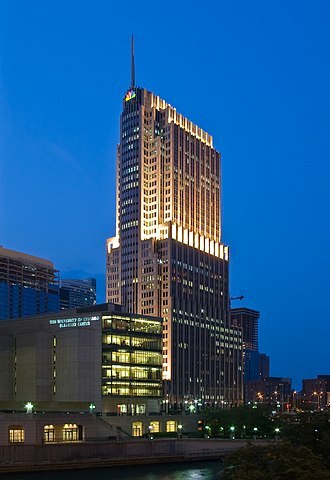 PPI's parent company Philips, through its U.S. affiliate Consolidated Electronics Industries Corp (a.k.a. Conelco), acquired Mercury in 1962. PPI played an important role in the introduction of the long-playing vinyl record to Europe. 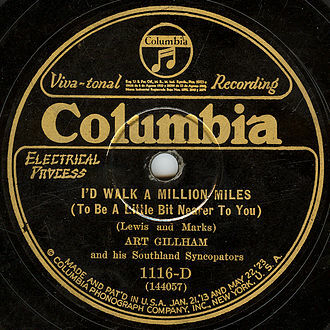 Columbia introduced their LP record in 1948 and Philips presented its first LP at a record retailers' convention in 1949. Philips' commitment to LP technology was an important factor in its 1951–1961 deal with Columbia. After the merger, PolyGram began to move into the US and UK markets, and did so by a process of both formation and acquisition: Polydor Records established its American operations, Polydor Incorporated in 1969, Mercury Record Productions (US) was acquired in 1972 from sister company North American Philips Corp., and became Phonogram, Inc. MGM Records and Verve (US) were acquired in 1972, RSO (UK) in 1975, a 50% stake in Casablanca (US) in 1977 (with the remaining 50% in 1980), Pickwick in 1978, and Decca (UK) in 1980 (the latter acquisition basically brought PolyGram full circle, see the HDD section above). PolyGram acquired United Distribution Corporation (UDC) in 1973, and changed its name to Phonodisc, Inc., and signed international distribution deals with MCA and 20th Century Records in 1976. In the late 1950s and early 1960s, Philips had been at work on a new consumer magnetic tape format for music. The Philips Compact Cassette was introduced in 1963. It was small and could play longer than an LP. In 1965 the cassette accounted for 3% of revenues, growing in 1968 to 8% and in 1970 to 10.6%. In the late 1960s, and through the 1970s, GPG/PolyGram diversified into film and television production and home video. RSO's successes included Saturday Night Fever and Grease. PolyGram's highly successful marketing during the disco craze included the Casablanca FilmWorks production Thank God It's Friday (1978) and its associated soundtrack. During the boom in disco, PolyGram's US market share had grown from 5% to 20%. This can also be attributed to multi-million selling albums and 45s by the Bee Gees, Donna Summer, the Village People, Andy Gibb, Kool & the Gang, and rock band Kiss. For a short while in the late 1970s, it was the world's largest record company. In 1969, PolyGram established a direct mail-order business in the UK, Britannia Music Club, which ran till 2007. Another contributing factor to PolyGram's financial woes was the massive failure of the big budget musical Sgt. Pepper's Lonely Heart's Club Band (1978). The film starred the Bee Gees and Peter Frampton at the height of their popularity, and featured The Beatles covers by them as well as Aerosmith, Billy Preston, and Earth, Wind & Fire. The film was highly anticipated to surpass the box office success of both the Saturday Night Fever and Grease, mostly due to its popular music stars. The soundtrack LP, based on only advance orders, was released triple platinum. However, the movie was released to poor reviews and died at the box office. Despite its triple platinum start, the soundtrack LP's sales bombed after the film's release. In turn, record dealers flooded PolyGram with returned LPs. The resulting losses nearly wiped out the profits the company had made on both the Saturday Night Fever and Grease soundtracks. When the disco craze ended in 1979, and record sales for both the Bee Gees and Casablanca's Village People plummeted, the company's fate was sealed. PolyGram also experienced losses with the defection of Casablanca's Donna Summer to newly formed Geffen Records as well as the dropping of Andy Gibb, whose personal problems with cocaine and alcohol began to affect his recording career, from RSO. Summer and the Bee Gees also had legal disputes with their labels which further complicated matters. Summer ended her contract with PolyGram in 1980, and was award the rights to her songwriting catalog by the courts; she owed them one more album, and finished out her contract by recording her album She Works Hard For The Money (from which the title track was a huge hit in 1983). In 1980, PolyGram created PolyGram Pictures in a partnership with Peter Guber. During the late 1980s and early 1990s, PolyGram continued to invest in a diversified film unit with the purchases of individual production companies. Wing Records was reincarnated in 1987 and became a very popular label over the following years, spawning the careers of Tony! Toni! Toné! and former Miss America, Vanessa Williams; the label was discontinued in the mid-1990s. Fontana was revived in the U.S. in 1989, but only for a short while. Today, Fontana Distribution is an independent label distribution unit of Universal Music Group. Vertigo Records still remained a rare U.S. PolyGram label, as most of its music was from Europe. In 1982, PolyGram purchased 20th Century Fox Records from 20th Century Fox, which had just recently been bought out by oil magnate Marvin Davis, who was not interested in keeping the record company. The assets of the former 20th Century Fox Records were consolidated with the company's Casablanca label. After an attempted 1983 merger with Warner Elektra Atlantic failed, Philips bought 40% of PolyGram from Siemens, acquiring the remaining 10% in 1987. In 1988, Philips acquired the remaining 50% of PolyGram from long time partner Siemens and later in 1989, floated 16% of PolyGram on the Amsterdam stock exchange, valuing the whole company at $5.6 billion. PolyGram embarked on a new program of acquisitions, including A&M and Island Records in 1989, Swedish company Polar Music which held the rights to the ABBA catalogue, Motown and Def Jam in 1994, and Rodven (Venezuela) in 1995. In 1990, after acquiring Island Records and A&M Records, Alain Levy (then) executive vice president of PolyGram N.V., re-organized the U.S. operations of PolyGram Record's, Inc. into a new expanded conglomerate entitled PolyGram Group Distribution, Inc. In addition to overseeing the sales, marketing, manufacturing, and distribution of music and video products created by PolyGram, PGD was also responsible for supervising a number of other divisions within PolyGram (U.S.) such as: PolyGram Music Group, PolyGram Video, PolyMedia, PolyGram Special Markets, PolyGram Merchandising, Independent Label Sales (ILS), and New Media & Business Development. Polygram and Granada TV formed a joint venture, Big Picture Productions, in 1990, as a music programing firm. At Cannes in 1990, Big Picture purchased exclusive international distribution rights to Brown Sugar, from the New York–based Gene David Group. The two-hour special featured black female performers and was hosted by Billy Dee Williams. In 1995, PolyGram purchased ITC Entertainment for $156 million. In May 1998, PolyGram was sold to Seagram for $10 billion. Seagram, which owned Universal Pictures and Universal Music Group, sold off some of PolyGram's assets. The ITC Entertainment library was sold to Carlton Communications for £91 million, the pre-April 1996 PolyGram Filmed Entertainment library was sold to Metro-Goldwyn-Mayer, PolyGram's US distributor was sold to USA Networks, and Slash Records and London Records were sold to Warner Music Group. What remained of Polygram was merged into Universal Music Group and Universal Pictures. The name survives via reissue of music under the Polydor Records label as well as a publishing arm of Universal Music Publishing Group. The Japanese branches of the PolyGram labels that were absorbed to form Universal Music Japan were merged into one label named Universal Sigma. Universal Music Group (UMG) had been dabbling in the documentary field having a hand in producing of 2015 Amy, Amy Winehouse documentary, and HBO’s Kurt Cobain: Montage of Heck. In January 2017, UMG hired David Blackman to head its newly formed film and TV unit and reports to Universal Music Publishing Group chairman/CEO Jody Gerson and UMG Executive Vice President Michele Anthony. Polygram Entertainment on February 11, 2017 was relaunched as a film and television unit of Universal Music Group led by Blackman, UMG head of film & television development and production. Before the announcement, the revived Polygram co-distributed with Studio Canal in September 2016 The Beatles: Eight Days a Week documentary. Polygram had on its slate as its first production The Story of Motown, a documentary about the record label's cultural and historical effects. Also on its slate is the co-production and financing of Mystify, INXS frontman Michael Hutchence biography. Republic Records appointed its first executive vice president of film & television in July 2017 to oversee film and TV projects and Federal Films initiative in working with Polygram. ^ a b Hardy, Phil. "Would You Like to Dance? EMI and WMG". Download! How The Internet Transformed The Record Business. Music Sales Group / Google Books. pp. Chapter 4. Retrieved 15 April 2016. ^ Geisst, Charles R. "Radio Industry". Encyclopedia of American Business History. Ifobase / Google Books. 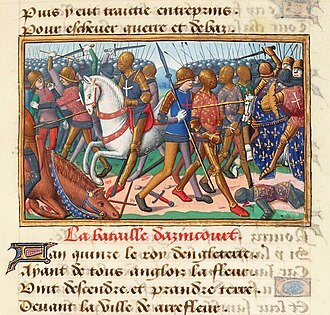 p. 352. Retrieved 15 April 2016. ^ "Polygram N.V. Business Information, Profile, and History". companies.jrank.org. Retrieved 2017-12-15. ^ "Worldwide deal doings at Cannes" (PDF). Broadcasting. Broadcasting Publications Inc.: 39 April 30, 1990. ISSN 0007-2028. Retrieved September 15, 2017. ^ PolyGram filmed entertainment acquires ITC Entertainment Group. [dead link] Business Wire January 10, 1995. Retrieved on November 21, 2010. ^ "Thunderbirds are going, going, gone". BBC News. 1999-01-19. Retrieved 2013-06-22. ^ a b Littleton, Cynthia (February 12, 2017). "Universal Music Group Revives Polygram Label for Film and TV Production". Variety. Retrieved August 22, 2017. ^ a b "Universal Music Relaunching Polygram, Announces 'Story of Motown' as First Production". billboard.com. Retrieved 17 February 2017. ^ Staff, Variety (June 5, 2018). "Universal Music's Polygram Entertainment Names Daniel Inkeles VP of Scripted Film & TV". Variety. Retrieved October 5, 2018. ^ Staff, Variety (August 6, 2018). "Universal Music Group and Lionsgate Sign Multi-Year TV Deal". Variety. Retrieved October 4, 2018. ^ McNary, Dave (June 1, 2017). "Ron Howard to Direct Luciano Pavarotti Documentary". Variety. Retrieved August 22, 2017. ^ Wiseman, Andreas (October 12, 2018). "HanWay Films Boards Ron Howard's Pavarotti Movie Ahead Of AFM, Production Under Way". Deadline. Retrieved October 12, 2018. ^ Ramos, Dino-Ray (January 27, 2018). "Todd Haynes To Direct And Produce 'The Velvet Underground' Feature Docu For Polygram, Verve". Deadline. Retrieved April 5, 2018. ^ Halperin, Shirley (February 6, 2018). "Fox Animation, Universal Music Team for Film Based on Songs by Bob Marley". Variety. Retrieved April 5, 2018. ^ Jarvey, Natalie (November 28, 2018). "Ariana Grande Docuseries to Stream on YouTube (Exclusive)". The Hollywood Reporter. Retrieved December 6, 2018. ^ Staff, Variety (December 12, 2017). "Pras to Helm TV Series Inspired by Real-Life Stories of Hip-Hop Cops (EXCLUSIVE)". Variety. Retrieved April 5, 2018. Sir Edward Roberts Lewis was a British businessman, best known for leading the Decca recording and technology group for five decades from 1929. He built the company up from nothing to one of the record labels of the world. A financier by profession, Lewis was professionally engaged by the fledgling Decca company, having failed to persuade its directors to diversify from making record-players to making records, he raised the capital to take the company over, and ran it until his death. Among the ground-breaking achievements of Decca under Lewis were the Decca Navigation System, the Decca ffrr recording technology, Lewis was born in Derby, the only boy of four children of Sir Alfred Edward Lewis and his wife, May née Roberts. Alfred Lewis was an official, and head, of the National Provincial Bank. Lewis was educated at Rugby School and Trinity College, after leaving Cambridge, Lewis worked in the financial sector, joining the London Stock Exchange. In 1923 he married Margaret Mary Hutton, there were two sons of the marriage, one of whom died, while still a boy, in a drowning accident. The other son became the partner in Lewiss stockbroking firm. The firm, E. R. Lewis & Co, was founded when Lewis was 28, Lewiss firm acted as brokers for a company that had recently changed its name to The Decca Gramophone Company. 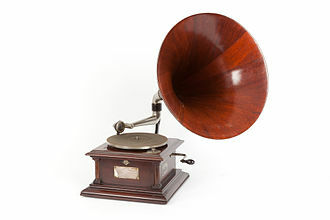 It manufactured recording and play-back equipment and had developed the worlds first portable gramophone, with Lewiss help, Decca was successfully floated as a public company. The share issue was oversubscribed by twenty times, despite the success of the public offering, Lewis had reservations about Deccas future. He remarked that a company manufacturing gramophones but not records is rather like one making razors, the Duophone Record Company, with its record factory in the London suburb of New Malden, was in difficulties, and Lewis tried to persuade the directors of Decca to buy it. They did not wish to do so, and so Lewis formed a syndicate and proceeded with the purchase, not only of Duophone, the new Decca Record Company came under the management of Lewiss reconstituted Decca Gramophone Company in 1929. Mercury Records is an American-based record label owned by Universal Music Group. In the United States, it operates through Island Records, in the UK, Mercury Record Corporation was formed in the American city of Chicago in 1945 by Irving Green, Berle Adams, Ray Greenberg and Arthur Talmadge. They were a force in jazz and blues, classical music and roll. Early in the history, Mercury opened two pressing plants, one in Chicago and the other in St. Louis, Missouri. With the use of presses and providing 24-hour turnaround, they went into direct competition with major recording labels such as Columbia, Capitol. By hiring two promoters, Tiny Hill and Jimmy Hilliard, they penetrated the pop market with such as Frankie Laine, Vic Damone, Tony Fontane. Rather than rely on radio airplay, Mercury initially relied on jukeboxes to promote their music, some early Mercury recordings featured a caricature of him as its logo. In 1947 Jack Rael, a musician and publicist/manager, persuaded Mercury to let Patti Page record a song that had planned to be done by Vic Damone. The budget was too small for them to hire a second singer to provide the parts to Page. The company released a number of recordings under the Mercury label as well as its subsidiaries. In addition, they leased and purchased material by independent labels, under their own label, Mercury released a variety of recording styles from classical music to psychedelic rock. However, its subsidiaries focused on their own specialized categories of music, Mercurys jazz division had two distinct and important fathers. John Hammond brought his expertise and connections when Mercury bought Keynote Records in the late 1940s, and Mercury was the issuing company and distributor for Norman Granzs pre-Norgran/Verve recordings. Although both Hammond and Granz had departed Mercury by the mid-1950s, they established the company in the jazz world, by the early 1960s, Mercury was releasing jazz under the flagship label and was an early leader in the new stereo sound releases. Highlights of the early and mid-1960s included albums by Quincy Jones, Buddy Rich, Cannonball Adderley, Charles Mingus, Dinah Washington, Sarah Vaughan, Max Roach, in the early 1950s, Norman Granz started his own record company, which became Verve. Siemens AG is a German conglomerate company headquartered in Berlin and Munich and the largest manufacturing and electronics company in Europe with branch offices abroad. The principal divisions of the company are Industry, Energy and Infrastructure & Cities, the company is a component of the Euro Stoxx 50 stock market index. Siemens and its subsidiaries employ approximately 362,000 people worldwide, the von Siemens family remain the largest shareholder with a stake of 6. 9% percent. Siemens & Halske was founded by Werner von Siemens and Johann Georg Halske on 12 October 1847, based on the telegraph, their invention used a needle to point to the sequence of letters, instead of using Morse code. The company, called Telegraphen-Bauanstalt von Siemens & Halske, opened its first workshop on 12 October, in 1848, the company built the first long-distance telegraph line in Europe,500 km from Berlin to Frankfurt am Main. In 1850, the younger brother, Carl Wilhelm Siemens, Sir William Siemens. The London agency became an office in 1858. 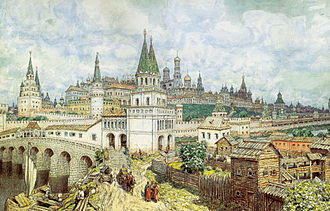 In the 1850s, the company was involved in building long distance telegraph networks in Russia, in 1855, a company branch headed by another brother, Carl Heinrich von Siemens, opened in St Petersburg, Russia. In 1867, Siemens completed the monumental Indo-European telegraph line, in 1867, Werner von Siemens described a dynamo without permanent magnets. A similar system was independently invented by Charles Wheatstone. In 1881, a Siemens AC Alternator driven by a watermill was used to power the worlds first electric lighting in the town of Godalming. The company continued to grow and diversified into electric trains and light bulbs, in 1890, the founder retired and left running the company to his brother Carl and sons Arnold and Wilhelm. In 1887, it opened its first office in Japan, Siemens & Halske was incorporated in 1897, and merged parts of its activities with Schuckert & Co. Nuremberg in 1903 to become Siemens-Schuckert, in 1907, Siemens had 34,324 employees and was the seventh-largest company in the German empire by number of employees. 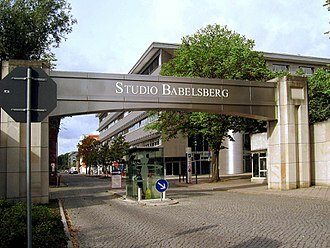 Baarn is a municipality and a town in the Netherlands, in the province of Utrecht. The municipality of Baarn consists of the towns, Baarn. Baarn, the town of the municipality, received city rights in 1391. The town lies about 8 km east of Hilversum, in 2001, the town of Baarn had a population of 22,871. The urban area of the town was 4.66 km2, the royal family owns several houses around Baarn. The Soestdijk Palace in Baarn was the home of Queen Emma, Queen Juliana, a piece of forest, the Baarnse Bos, is adjacent to the palace and historically belonged to it. Baarns shopping facilities are located in the Laanstraat. Other visitor destinations include het Cantonspark and Kasteel Groeneveld, in the north and east there are polders, and the river Eem. Recreation resources include the woodlands south-west of Baarn, connecting Baarn to Soestdijk, the Scout Centre Buitenzorg is located in Baarn. To the south lay the road towards the city of Amersfoort. 10 km long straight of polder road, connects the town of Baarn to various roads in Soest, due to good communications to Amsterdam, the town is home to a number of boutique international firms such as SEI Investments Company, Bain & Co and Cerberus Capital Management. Decca Records began as a British record label established in 1929 by Edward Lewis. Its U. S. label was established in late 1934 by Lewis along with American Deccas first president Jack Kapp and American Decca president Milton Rackmil. In 1937, as a result of anticipating Nazi aggression leading to World War II, Lewis sold American Decca, the British label was renowned for its development of recording methods, while the American company developed the concept of cast albums in the musical genre. Both wings are now part of the Universal Music Group, which is owned by Vivendi, the US Decca label was the foundation company that evolved into UMG. The name Decca was coined by Wilfred S. Samuel by merging the word Mecca with the initial D of their logo Dulcet or their trademark Dulcephone, Samuel, a linguist, chose Decca as a brand name as it was easy to pronounce in most languages. The name dates back to a gramophone called the Decca Dulcephone patented in 1914 by musical instrument makers Barnett Samuel. That company was renamed the Decca Gramophone Co. Ltd. Within years, Decca Records Ltd. was the second largest record label in the world, Decca bought the UK branch of Brunswick Records and continued to run it under that name. In the 1950s the American Decca studios were located in the Pythian Temple in New York City, in classical music, Decca had a long way to go from its modest beginnings to catch up with the established HMV and Columbia labels. The pre-war classical repertoire on Decca was not extensive, but was select, heinrich Schlusnus made important pre-war lieder recordings for Decca. John Culshaw, who joined Decca in 1946 in a junior post and he revolutionised recording – of opera, in particular. Hitherto, the practice had been to put microphones in front of the performers, Culshaw was determined to make recordings that would be a theatre of the mind, making the listeners experience at home not second best to being in the opera house, but a wholly different experience. To that end he got the singers to move about in the studio as they would onstage, used sound effects and different acoustics. Magnetic tape is a medium for magnetic recording, made of a thin, magnetizable coating on a long, narrow strip of plastic film. It was developed in Germany, based on magnetic wire recording, devices that record and play back audio and video using magnetic tape are tape recorders and video tape recorders. A device that stores data on magnetic tape is a tape drive. Magnetic tape revolutionized broadcast and recording, when all radio was live, it allowed programming to be recorded. At a time when gramophone records were recorded in one take, it allowed recordings to be made in multiple parts, which were mixed and edited with tolerable loss in quality. It was a key technology in computer development, allowing unparalleled amounts of data to be mechanically created, stored for long periods. Nowadays, other technologies can perform the functions of magnetic tape, in many cases, these technologies are replacing tape. Despite this, innovation in the technology continues, and Sony, over years, magnetic tape made in the 1970s and 1980s can suffer from a type of deterioration called sticky-shed syndrome. Caused by hydrolysis of the binder of the tape, it can render the tape unusable, the oxide side of a tape is the surface that can be magnetically manipulated by a tape head. This is the side that stores the information, the side is simply a substrate to hold the tape together. The name originates from the fact that the side of most tapes is made of an oxide of iron. Magnetic tape was invented for recording sound by Fritz Pfleumer in 1928 in Germany, based on the invention of magnetic wire recording by Oberlin Smith in 1888, pfleumers invention used a ferric oxide powder coating on a long strip of paper. 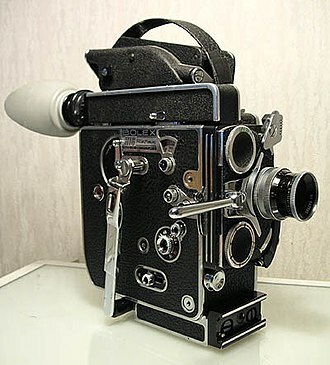 This invention was developed by the German electronics company AEG, which manufactured the recording machines and BASF. In 1933, working for AEG, Eduard Schuller developed the ring-shaped tape head, previous head designs were needle-shaped and tended to shred the tape. An important discovery made in this period was the technique of AC biasing, due to the escalating political tensions, and the outbreak of World War II, these developments were largely kept secret. A wide variety of recorders and formats have developed since, most significantly reel-to-reel, the practice of recording and editing audio using magnetic tape rapidly established itself as an obvious improvement over previous methods. The LP is an analog sound storage medium, a vinyl record format characterized by a speed of 33 1⁄3 rpm, a 12 or 10 inch diameter, and use of the microgroove groove specification. Introduced by Columbia in 1948, it was adopted as a new standard by the entire record industry. Apart from a few relatively minor refinements and the important addition of stereophonic sound, the new product was a 12- or 10-inch fine-grooved disc made of vinyl and played with a smaller-tipped microgroove stylus at a speed of 33 1⁄3 rpm. Each side of a 12-inch LP could play for more than 20 minutes, although the LP was suited to classical music because of its extended continuous playing time, it allowed a collection of ten or more pop music recordings to be put on a single disc. The use of the word album persisted for the one-disc LP equivalent, the prototype of the LP was the soundtrack disc used by the Vitaphone motion picture sound system, developed by Western Electric and introduced in 1926. For soundtrack purposes, the less than five minutes of playing time of side of a conventional 12-inch 78 rpm disc was not acceptable. The sound had to play continuously for at least 11 minutes, long enough to accompany a full 1, the disc diameter was increased to 16 inches and the speed was reduced to 33 1⁄3 revolutions per minute. Unlike their smaller LP descendants, they were made with the same large standard groove used by 78s, unlike conventional records, the groove started at the inside of the recorded area near the label and proceeded outward toward the edge. 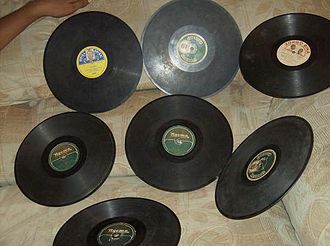 Like 78s, early soundtrack discs were pressed in an abrasive shellac compound, syndicated radio programming was distributed on 78 rpm discs beginning in 1928. The desirability of a longer continuous playing time soon led to the adoption of the Vitaphone soundtrack disc format, 16-inch 33 1⁄3 rpm discs playing about 15 minutes per side were used for most of these electrical transcriptions beginning about 1930. Transcriptions were variously recorded inside out like soundtrack discs or with an outside start, some transcriptions were recorded with a vertically modulated hill and dale groove. Hilversum is a municipality and a city in the Netherlands, in the province of North Holland. Located in the region called Het Gooi, it is the largest town in that area and it is surrounded by heathland, meadows and smaller towns. Hilversum is part of the Randstad, one of the largest conurbations in Europe, Hilversum is 31 km south-east of Amsterdam and 19 km north of Utrecht. The town is often called media city since it is the centre for radio. Radio Netherlands, heard worldwide via shortwave radio since the 1920s, is based here. As a result, many old AM radio sets in Europe had a Hilversum dial position marked on their tuning scales, the Dutch voting in the Eurovision Song Contest usually takes place from Hilversum. Hilversum is known for its architecturally important Town Hall, designed by Willem Marinus Dudok and built in 1931. Hilversum has one library, two swimming pools, a number of sporting halls and several shopping centers In the region, the city centre is called het dorp. Earthenware found in Hilversum gives its name to the Hilversum culture, artifacts from this prehistoric civilization bear similarities to the Wessex Culture of southern Britain and may indicate that the first Hilversum residents emigrated from that area. The first brick settlements formed around 900, but it was not until 1305 that the first official mention of Hilversum is found, at that point it was a part of Naarden, the oldest town in the Gooi area. Farming, raising sheep and some wool manufacturing were the means of life for the Gooi in the Middle Ages, in 1424, on 21 March at 6,30 am, Hilversum received its first official independent status. This made possible further growth in the village because permission from Naarden was no longer needed for new industrial development. 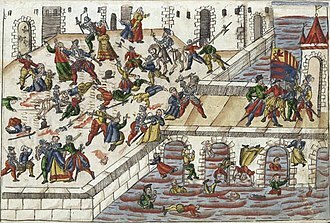 The town grew further in the 17th century when the Dutch economy as a whole entered its age of prosperity, in 1725 and 1766 large fires destroyed most of the town, leveling parts of the old townhouse and the church next to it. The town overcame these setbacks and the industry continued to develop. 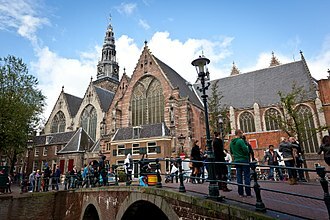 In the 19th century a substantial textile and tapestry industry emerged, aided by a link to Amsterdam in 1874. Despite this growth, Hilversum was never granted city rights so it is referred to by many locals as het dorp. Anton Frederik Philips co-founded Royal Philips Electronics N. V. in 1912 with his older brother Gerard Philips in Eindhoven, the Netherlands. His father and Gerard had founded the Philips Company in 1891 as a family business, Anton Philips served as CEO of the company from 1922 to 1939. Born to a Dutch Jewish family, Anton was the son to Maria Heyligers. His father was active in the business and a banker at Zaltbommel in the Netherlands. Anton had a brother named Gerard Philips. In May 1891 the father Frederik was the financier and, with his son Gerard Philips, in 1912 Anton joined the firm, which they renamed Philips Gloeilampenfabriek N. V. During World War I, Anton Philips managed to increase sales by taking advantage of a boycott of German goods in several countries and he provided the markets with alternative products. Anton are remembered as being civic-minded, in Eindhoven they supported education and social programs and facilities, such as the football department of the Philips Sports Association, which is the best known. Anton Philips brought his son Frits Philips and grandson Frans Otten into the company in their times, Anton and other family members escaped the Netherlands just before the Nazi Occupation during World War II. They went to the United States and returned after the war and his son Frits Philips chose to stay and manage the company during the occupation. He was imprisoned for months at the concentration camp of Vught after his workers went on strike. He saved the lives of 382 Jews by claiming them as indispensable to his factory, Anton Philips died in Eindhoven in 1951. Philips married Anne Henriëtte Elisabeth Maria de Jongh, Frederik Jacques Philips Henriëtte Anna Philips, married firstly to A. Knappert, without issue. Married secondly to Jonkheer G. Sandberg, without issue, married thirdly in New York City, New York, on 29 September 1938 to Jonkheer Hendrik Abraham Cornelis van Riemsdijk. They had the children, Jonkvrouw. Van Riemsdijk, married at Waalre on 17 February 1968 to Johannes Jasper Tuijt, son of Jacobus Tuijt and wife Hedwig Jager, van Riemsdijk, married firstly at Calvados, Falaise, on 6 June 1974 to Martinus Jan Petrus Vermooten, without issue. The groove usually starts near the periphery and ends near the center of the disc. 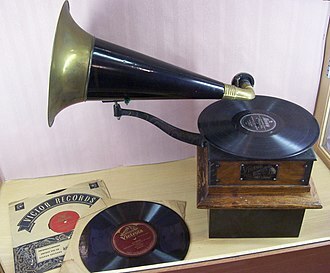 The phonograph disc record was the medium used for music reproduction until late in the 20th century. It had co-existed with the cylinder from the late 1880s. Records retained the largest market share even when new formats such as compact cassette were mass-marketed, by the late 1980s, digital media, in the form of the compact disc, had gained a larger market share, and the vinyl record left the mainstream in 1991. The phonograph record has made a resurgence in the early 21st century –9.2 million records were sold in the U. S. in 2014. Likewise, in the UK sales have increased five-fold from 2009 to 2014, as of 2017,48 record pressing facilities remain worldwide,18 in the United States and 30 in other countries. 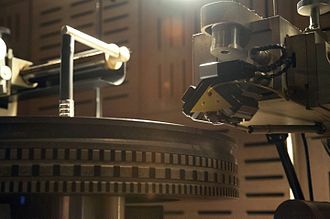 The increased popularity of vinyl has led to the investment in new, only two producers of lacquers remains, Apollo Masters in California, USA, and MDC in Japan. Vinyl records may be scratched or warped if stored incorrectly but if they are not exposed to heat or broken. The large cover are valued by collectors and artists for the space given for visual expression, in the 2000s, these tracings were first scanned by audio engineers and digitally converted into audible sound. Phonautograms of singing and speech made by Scott in 1860 were played back as sound for the first time in 2008, along with a tuning fork tone and unintelligible snippets recorded as early as 1857, these are the earliest known recordings of sound. In 1877, Thomas Edison invented the phonograph, unlike the phonautograph, it was capable of both recording and reproducing sound. Despite the similarity of name, there is no evidence that Edisons phonograph was based on Scotts phonautograph. Edison first tried recording sound on a paper tape, with the idea of creating a telephone repeater analogous to the telegraph repeater he had been working on. 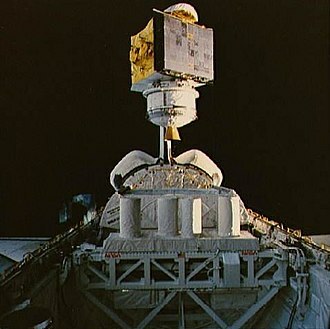 The tinfoil was wrapped around a metal cylinder and a sound-vibrated stylus indented the tinfoil while the cylinder was rotated. The recording could be played back immediately, Edison invented variations of the phonograph that used tape and disc formats. Company logo in 1921 stressed its leadership in international communication. A VHS helical scan head drum. Helical and transverse scans made possible to increase the data bandwidth to the necessary point for recording video on tapes, and not just audio.